Not all interpreters have proved to be distinguished interpreters of other composers’ works, but Duduka Da Fonseca has managed to maintain the venerable tradition of the composer-interpreter of a considerable body of work, often guiding other musicians as well. And in an almost imperceptible way the drummer has yeoman’s work that has helped shape his own creative voice. 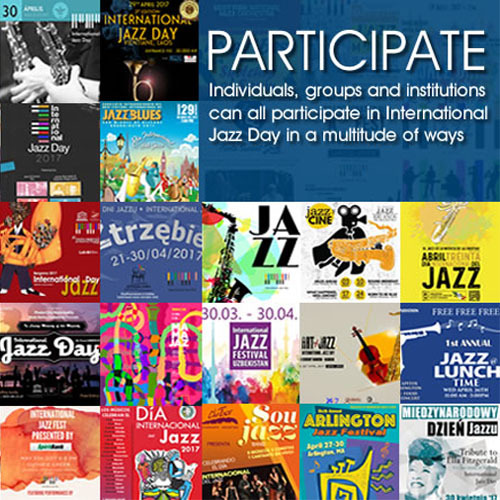 Here, once again, is further evidence of all of the above: a superb collection of music by a generation of Jazz giants who have, at some time in their careers paid homage to Brasil. There is so much to admire here that it would not be out of place for me to exclaim that this is an important record. And here’s more proof to support the claim. Through the course of the music contained here, Duduka da Fonseca has shown himself to be a musician who worship at the altar of creativity, lives and breathes the air of spontaneity—both of heat and cool, collected musical intellect and intuition—with extraordinary results. There are phrasings and voicings throughout the works here that are testament to his indisputable musicality. A case in point would be two extremes of the offerings on this record that might go to show how much Duduka da Fonseca is made of music so to speak. The first is a rollicking version of Joe Henderson’s now classic “Records Me,” a song the tenor saxophonist wrote to placate the Latin music that was surging in his veins at that time in his career. The other is the elegant and deeply emotional Clare Fischer original “Pensativa.” Both enhance the record’s inventiveness so as to highlight what it takes for teaching young drummers what it takes to send a surge of masterful musical energy from behind an instrument that is notoriously difficult to control in order to maintain crystalline clarity of line, as well as to add a magical sprinkling of seasoning so as to create masterful timbres that let each piece blossom of its own accord. And why talk in such glowing terms of just these two pieces? The rest of the record too is filled with these great-tasting musical savouries from end to end really. The reason for this is an application of a commanding sense of being decisive in the overall conception of what it is to be an über-composer—in the sense that an arranger must become when he is arranging and performing someone else’s work. In this regard this Brasilian drummer has assumed the role as a post-modernist as far as the art of percussive music is concerned, rather than the last romantic musician whose music lolled in the mushy kind of sentimentality with which many musicians approach the cultural topography of music especially when it comes with an idiom born in the country where they first cut their teeth. There is more than enough evidence of this on Jive Samba And let I give the impression that Duduka da Fonseca alone is responsible for the magnificence of this record, I must also give praise to pianist David Feldman and the now ubiquitous bassist Guto Wirti—and Paulo Levi, when he is called upon to play—to consistently rise to the occasion with a palpable sense of discovery that matches their leader’s. Track List: Jive Samba; Lucky Southern; Sco’s Bossa; Recorda Me; Peresina; Clouds; Pensativa; Speak Like a Child; Le Gaucho; Samba Yantra. 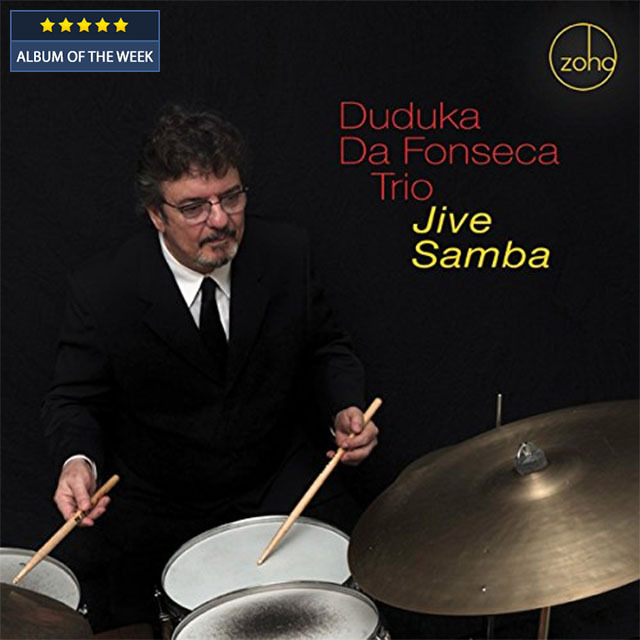 Personnel: Duduka Da Fonseca: drums; David Feldman; Guto Wirti: acoustic bass; Paulo Levi: tenor saxophone (4).